Tkachuk hits Milestones in Loss to Panthers - The Point Data-driven hockey storytelling that gets right to the point. 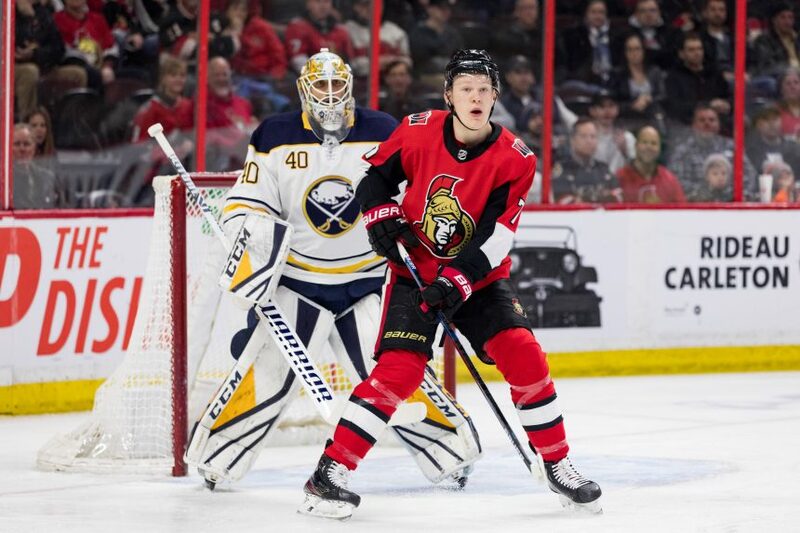 Even in a loss, Brady Tkachuk continues to give hope to the Ottawa Senators’ fanbase. With his goal last night, Tkachuk hit the 20 goal plateau and now has 40 points on the season. Not a bad start for the rookie. Tkachuk tied a team record with 12 shots and it wasn’t like he was just throwing shots on net from anywhere. Eight of those shots came from the high-danger slot area, which was a career-high for him and a season-high for a Senators player. In fact, only 3 players have put more shots on net from the house in a game this season. Tkachuk’s been a force in front of the net this year and last night was another example of that when he scored his lone goal from that area. It’s no surprise to see him in that slot area as he’s seen by far the most action there of any Senator this season. Stone, Duchene, and Dzingel are of course no longer with the Sens which just means the gap between him and everyone else is that much greater. The Senators have nothing left to play for at this point but watching Tkachuk grow as a player is a bright spot in an otherwise tough season. He has tons of potential and one thing’s for sure, he’s not going to shy away from getting into those dirty areas.